Now that the turkey has been eaten and most of the family is in a food coma, it’s time to turn our attention toward Christmas and shopping. Finding an excellent deal is something that we all strive for when possible. As a result, Black Friday is immensely popular amongst American shoppers as there are exceptional deals to be had if you know where to look. For those with new babies or who know someone who will be having a baby soon, now is one of the best times to pick up gifts and necessities. 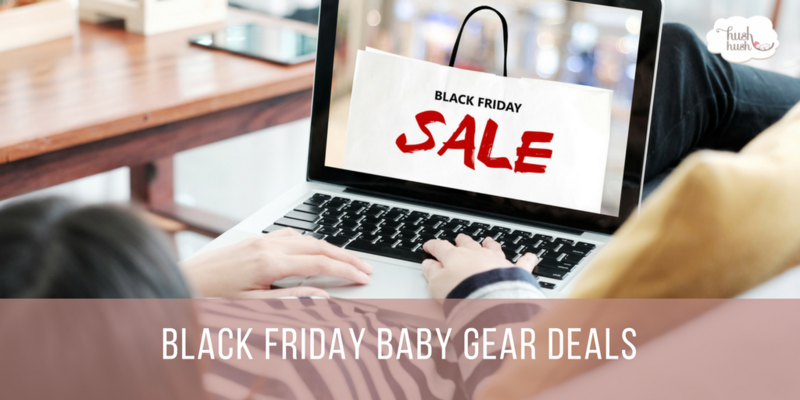 Below you will find a brief guide to some of the best Black Friday baby gear deals. Ergobaby – Looking for a carrier for your baby? Get 50% off any Ergobaby Adapt carrier via their website. UppaBaby – If you need a stroller or know someone who does check them out for 20% off Vista, G-Luxe, G-Lite. Britax – Shop here for 24% off select Chicco gear, up to 40% off BOB, and up to 50% off Baby Jogger plus receive a free gift with your purchase. Buy Buy Baby – The baby superstore is offering up to 50% off select baby monitors, 15% off all Baby Jogger systems, 10% off select Britax car seats and more. Magic Beans – Shop their exceptional deals including 20% off 2017 UppaBaby strollers, $100 NUNA Rava, 20% off BOB, 30% off Britax convertible car seats, 15% off Baby Jogger, 20% off Clek, and more. Ju-Ju-Be: While their deals are only on Black Friday they are offering 25% off sitewide. 4Moms – 4Moms makes terrific products designed specifically for mothers, and they are offering $20 off the mamaRoo4, $30 off the Breeze Classic, and $10 off their infant tub. Tula – Black Friday and Saturday only, enjoy 20% off their products. Chewbeads – Help your teething child with this Black Friday baby gear deal of 20% off when you spend $40 plus free shipping. JJ Rabbit – Enjoy 20% off all products site-wide. Bebe Au Lait – Shop their site on Black Friday for 30% off site-wide. Additionally, on Cyber Monday get a $10 gift card with a purchase of $50 or more. Toys”R”Us – With both Black Friday baby gear and clothes deals shop Toys”R”Us for 30-50% off select deals site-wide including brands like Melissa and Doug, LEGO, Mega Blocks, Fisher-Price, Playskool, and more. Tea Collection – They are offering $15 dresses and pants; $10 leggings, and $12 tops for Black Friday. RAGS – This is the only time this year that their brand will be discounted, so make the most of 25% off site-wide. Freshly Picked – Fresh baby threads for 25% off select items and a free gift with every $60 spent. Pediped – Enjoy 25% off site-wide from 11/22-11/24. Carter’s – Take advantage of 50% off the entire site and store. NUNUNU – For Black Friday, NUNUNU is offering 25% off their FW17 collection. eden & zoe – One of the best offers on our list at 35% off site-wide including sale items. Babiators – Score your baby some sweet shades with buy one get one free site-wide. Appaman – Shop here for 25% off site-wide (excludes permanent Fine Tailoring collection).